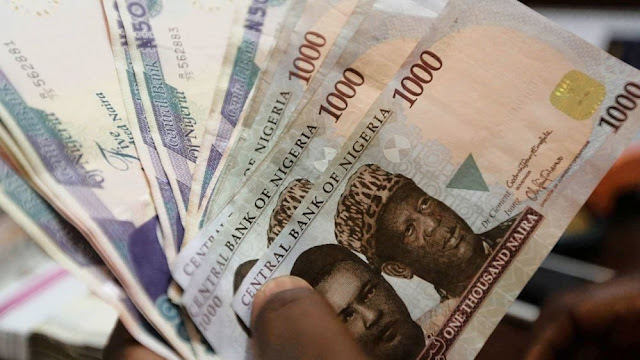 Nigerian naira on Thursday gained 0.25 per cent against the United States dollar at the parallel market as Central Bank of Nigeria continues to fight market speculators and currency hoarders. The currency closed flat at 485 against the Pound sterling but depreciated by 20 naira to 420 against the Euro at the black market segment. At the official market, it also closed flat at 306.20. President, Association of Bureaux De Change Operators of Nigeria (ABCON), Alhaji Aminu Gwadabe commended the CBN for the intervention. He said: "The intervention will help to checkmate the activities of currency horders and speculators. It also reflects CBN’s determination to continue to strengthen naira and get it out of the grasp of speculators and hoarders."